ETEK Group Limited based in Hong Kong founded its China subsidiary, Dongguan Founder Machinery in 1998, Since then, it has become an internationally recognized name in linear stretch blow molding machines, small and medium output with a reputation for simplicity, reliability, quality and flexibility. ETEK founded Polymac Technology Limited based in Hong Kong to handle the Export markets covering North & South America, Asia, Africa and Europe. Polymac is also represented by approved agents in countries worldwide. Moving beyond the blow machines, ETEK offers customers the best resources to successfully tackle the blow molding projects including multi- cavity preforms and blow molds, injection molding system and other related auxiliary equipment. To meet its customers’ growing demands, ETEK is moving forward with its blowing technology development and has launched the high output of the rotary stretch blow machines. 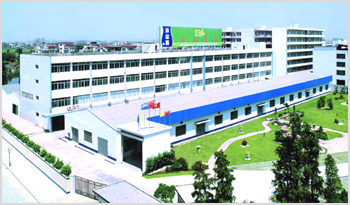 ETEK owns over 25 patents, 350 employees and total land area of 20,000 square meters for its Dongguan manufacturing facility.